Publication Information: Knopf. 2016. 320 pages. Opening Sentence: "This is what people talk about an Obama campaign reunion..."
Favorite Quote: "When a friendship ends, people don't always give it the same amount of thought that they do relationships ... most of the time, friendships end in a different way - slowly, and without declarations. Usually people don't really notice until a friend has been gone for a while and then they just say they grew apart, or their lives became too different." The Hopefuls is the story of a marriage surrounded by the political process of the United States. Beth and Matt are the best of friends and husband and wife. They leave their life in New York in pursuit of Matt's political ambitions in Washington DC. Beth puts her career and aspirations on hold to support Matt in pursuit of his. Along the way, they meet Jimmy and Ashley, another young, up-and-coming political couple. The two couples become the best of friends to the point of even living together at one point. The cracks appear for Jimmy's career seem to blossom while Matt always seems a step behind. Yet, the friendship remains. The peripheral story of this book - its environment - is the political process at a national and local level. It offers a view of the ambitions, the competition, the deals, the frantic pace of a campaign, and the disappointments. Part of that context is the presidential campaign. In this election year, this view on a campaign is an especially fascinating one. Another level of this story is the story of friendship. In a friendship between couples, what is the interplay of the relationships between the four individuals? What is a political alliance versus a friendship? Is a relationship a friendship if one is using another to further his own goals? How does friendship survive working together? What are the boundaries of friendship - the lines that should not be crossed? What actions and betrayals can a friendship survive? The main story of this book is that of Beth and Matt's marriage. How does a couple find balance between their differing aspirations? How do you support a spouse even when it involves a sacrifice of your own desires? How do you keep communication going instead of letting frustrations build and build? What can be a point of no return in a relationship? The story is narrated through Beth's voice. So, it is her side of the story we hear. It is her perspective on events we hear. Beth follows Matt from place to place because of his career ambitions. She finds herself out of place and out of sync. This perspective works well as an outsider's view of the machinations of politics. The issue with that perspective is that Beth is not always a sympathetic character. For most of the book, she seems passive. Things seems to happen to her without exerting much control over the direction in which her life goes. Really late in the book, the book acknowledges that as Beth's personality. "'You're always letting things happen to you ... You just wait to react. Do something.' ... I just looked at her, not knowing how to respond. She was right, of course. But I didn't know how to change that about myself - didn't know if it was even possible." This acknowledged characteristic adds perspective to the entire story and makes Beth more sympathetic, but it unfortunately occurs too late in the book. For most of the book, I find myself telling Beth to just say something or just do something. That never happens. Her entire story is a reactionary one. Perhaps, the best part of this story is the fact that the people and emotions of this book ring true. Their struggles and frustrations seem real. The book seems to follow the pace of real life as well. Not much happens; yet, a lot seems to happen within a relationship. Much of the action seems to be routine life within a political context, and routine repeats. That's okay because this book is much more about the relationship - a story in which many people will recognize the joys and pitfalls of marriage. Publication Information: Ten Speed Press. 2016. 256 pages. Opening Sentence: "It's really up to you." Favorite Quote: "The fact is, even an average crust with sauce and melted cheese still tastes pretty good. For that reason, there are a lot of average pizzas that plenty of people happily eat - and plenty of people for whom pizza is more of a business proposition than a passion for quality. Please ignore them." What does a guy who grew up in Maryland, lives in Portland, and started his career as an engineer in the Silicon Valley know about pizza? Turns out, he knows quite a lot. Artisan baker Ken Forkish presents a detailed and educational book on pizza. Mind you, it is not exhaustive in its exploration of American pizza styles. It focuses primarily on Italian and New York style pizza. This book is considerably more than a cookbook; it is an education. The recipes themselves don't appear until 100 pages into the book. Before that comes the education. The first chapter is a travelogue through pizza history, starting in Naples and ending in the United States. With photographs and text, this chapter provides a peek into the history, culture, and diversity of pizza in different areas. The second chapter talks about the styles of pizza from Neapolitan to a New York slice. For each style, the book includes a description, its differentiating characteristics, and "desired results", i.e., how the end result should look and feel. Again, the focus is limited to certain styles of pizza - no Chicago deep dish here. Chapter 3 is dedicated to guidelines for a great pizza crust. This chapter ends with the reminder that ""be guided by your own taste." That bonus guide recurs through the book. The next two chapters educate on equipment and methods. Most of us don't have a wood fired oven, but fortunately, these chapters are written for the home cook with equipment and methods accessible to the home cook. A wood fired oven may not be in my future, but a great home made pizza is. Of course, the book does have recipes. First and foremost come the pizza dough recipes. The book goes through different dough recipes with pros and cons based primarily the time each takes to make, along with some specialties like a gluten free dough. In all, the book includes thirteen dough recipes but oddly, no recipes for a whole grain dough. I understand being a dough "purist" but if the book includes a gluten free dough then why not a whole grain dough? That limits the usability of the recipes for me. The section on dough is really the heart of the book. The focus is on building an outstanding base from which to build further. Each recipe includes ingredients by weight, quantity, and baker's percentage. It give a detailed description of each step, for example, not just "mix the dough" but "mix by hand, first stirring your hand around inside the dough tub to integrate....". The earlier chapters on methods includes photographs of the techniques. The recipes to put it all together into one delicious slice of pizza don't begin until 150 pages into the book. Again, the book includes classics like a Pizza Margherita and the New York cheese pizza. It also ventures into more diverse combinations like a butternut squash pizza and a Chantrelle and Garlic Pizza. The pizza recipes are organized into five sections - Italian and Italian-Inspired, New York and New York Inspired, Artisan Classics, Trifecta Flatbreads, and Vegetables and Just Because. 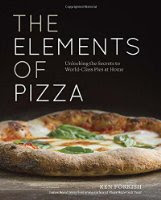 This book focuses on mastering the process of pizza making. Once you master the process, the variations are only limited by your imagination. Because I tend to use my cookbooks as guidebooks rather than exact rules, this approach works for me. Perfect the dough. Find the toppings you enjoy. Pizza at home your way! Publication Information: Lake Union Publishing. 2016. 318 pages. Opening Sentence: "The immigrant barque Daisy may came tacking around the end of Long Island." Favorite Quote: "You either drive the wheel or it drives you. That's the way New York works. Why should it be otherwise?" Victoria Crossing begins in 1851 as Victoria MacPherson and Maeve O'Reilly complete their ocean crossing from Ireland and reach New York. One is Protestant; the other Catholic. The come from opposite sides of many a conflict in Ireland. Both are escaping the Irish potato famine, and both dream of a better life in America. Circumstances and a perilous journey make them friends. Unfortunately, things don't go quite as planned upon their arrival. They expect Maeve's brother to meet them at the dock; he is not there. Making their way into the city, they are robbed of all their money. Such is their inauspicious beginning in America. Yet, they plunge into life in New York. Victoria is determined to make her way, and to help Maeve succeed along with her. Other characters enter the picture. Patrick O'Reilly is the brother Maeve's expected to find waiting on the dock. Thomas Ashton and Joel Silver are men whose lives intersect with Victoria's. For a city teeming with people, this book focuses in narrowly on these main characters. Through descriptions, the book tells some of their backstories including those in Ireland. This helps explain some of their actions and motivations. The plot is a classic one. A young woman seeks to make her way independently and despite hardships. She finds friends and enemies along the way. She achieves success. She suffers setbacks. She starts again. 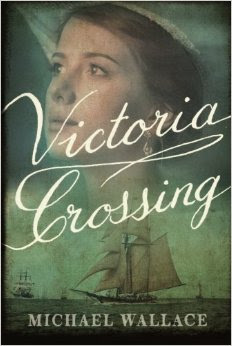 Victoria Crossing, from its description, setting, characters, and plot promises the epic immigrant story of two young women. It promises a story of their struggles and their successes in the pursuit of their American dream. It delivers, up to a point. The characters in the book do not really develop much depth. The good are very very good, and the bad seem to get worse by the minute. The book also does not build the rich, vibrant setting of New York City. It references neighborhoods without truly creating an image of the place. The main characters are all part of the New York garment industry; the book provides a glimmer into the structure and inequity of the industry but does not fully develop that foundation either. I would enjoy more of the history being developed around the story. A greater historical context would provide greater substance to the plot. The scale of the plot itself is also much smaller than I expect. The reason why becomes clear by the end. The ending seems to clearly indicate that a sequel may be coming. Thus, this book becomes not the epic story of a lifetime, but rather one component of it. As such, the story seems to drag even though the events described are action oriented. The ending not only indicates a sequel but also jumps about ten years forward in the timeline, which seems abrupt after an almost three hundred page story that focuses on a much shorter time period. The concept and plot of the book hold promise that is not completely reached. The book is a quick entertaining read but leaves a lot of depth unexplored. Perhaps the sequel (if indeed there is one) will plunger deeper? Publication Information: Scribner. 2016. 592 pages. Opening Sentence: "In the winter of 2012, I traveled from Delhi to Calcutta to visit my cousin Moni." Favorite Quote: "History repeats itself, in part because the genome repeats itself. And the genome repeats itself, in part because history does. The impulses, ambitions, fantasies, and desires that drive human history are, at least in part, encoded in the human genome. And human history has, in turn, selected genomes that carry these impulses, ambitions, fantasies, and desires. This self-fulfilling circle of logic is responsible for some of the most magnificent and evocative qualities in our species, but also some of the most reprehensible. It is far too much to ask ourselves to escape the orbit of this logic, but recognizing its inherent circularity, and being skeptical of its overreach, might protect the week from the will of the strong, and the 'mutant' from being annihilated by the 'normal'." I am exhausted! I have just spent the last two days furiously reading this book. I feel like I have taken a journey through time, place, and my own life. I feel like I have read both a textbook and an epic adventure tale. That is my testimonial to Siddhartha Mukherjee's writing. He has taken a serious, dense scientific topic; captured history, terminology, facts, and figures; and presented it in an incredibly approachable, readable way. I find myself unable to put the book down because I want to know what comes next. I have an interest in science, but I am not a professional in a scientific field. I took science courses in school, but have not made a study out of science. This book manages to explain the topic in terms I understand without making the explanation seem "dumbed down" for a non-scientific audience. Literary and philosophical quotes begin each chapter, providing a non-scientific introduction to the concepts to come. The book uses analogies from music, cooking, literature (from the philosophers to the Hitchhiker's Guide), and daily life to provide an anchor for the concepts. The personal stories of the people - including the author's own family - provide another bookend for the scientific information. Well placed puns and other plays on words (look for them!) become another technique. All these factors create a framework to convey the science and to make it readable and memorable. Will I remember every term or every name? Probably not, and I really don't have a need to. Will I remember a lot of the information and the overarching history? Absolutely and often because of these connections. All writing techniques aside, this book is serious science. It teaches. My guess is that, even at almost 600 pages, it is an introductory course in genetics, presenting a simplified description of the both the science and the history. In the text, the book describes itself. "It is tempting to write the history of technology through products: the wheel; the microscope; the airplane; the Internet. But it is more illuminating to write the history of technology through transitions: linear motion to circular motion; visual space to subvisual space; motion on land to motion on air; physical connectivity to virtual connectivity." As a casual reader, I will not fact check this book; nor will I rely on every fact in a matter of scientific or medical significance. I am here for an introduction to the science and the story of the history. This book delivers on that promise. It begins with the monasteries of the 1800s and ends with a look to the future in 2015. Within this timeline, it takes a topical approach, leading the reader from scientist to scientist, from laboratory to laboratory, and often from patient to patient - the often unwitting participants in the journey of discovery. This is as much a discourse on scientific research as a story of the people involved - past, present, and perhaps, future. It is also a gateway to a conversation about the future. The ethical questions that surround genetic research and the use of that research impact all of us. For example, just last week, a closed door meeting took place at Harvard Medical School. The project under discussion was once called The Human Genome Synthesis Project. The attention getting newspaper headline about the meeting read, "Scientists Talk Privately About Creating a Synthetic Human Genome." Loosely interpreted, it means creating a human being from DNA created entirely from chemicals in a lab. Think about it. The more the scientific community learns, the bigger the questions become. This book provides some knowledge with which to look at those questions. This book is an important for us all to read and understand. Opening Sentence: "The Street of Eternal Happiness is two miles long." Favorite Quote: "Life here is loud, dirty, and raw." A small street in modern day Shanghai becomes a microcosm for China itself. The title is ironic for little happiness seems to be found on this Street of Eternal Happiness. What is found is humanity - people living their lives through government, economic, and societal changes. The author Rob Schmitz is journalist, the China correspondent for the show Marketplace that airs on NPR. He lives in Shanghai and writes about his "home" street; he has made a career out of studying China and its role in the world. The Street of Eternal Happiness is definitely a history more so than a story of individual families. The author uses this street as a microcosm to present a political, religious, and sociological history of Shanghai and China. It brings in the Cultural Revolution, life under Communism, re-introduction of religion, the one child rule, and the economic ups and downs. The book depicts the broader history through the lens of the community on this one street. With this broader focus, the individual stories sometimes take a back seat, particularly the emotional aspects of the individual stories. Because of the structure of the book around individuals though, the chronology of the broader history is a little muddled. A timeline would be helpful to correlate the broader history and place the stories of this community into context. The author's perspective on this history is an interesting one because he is, at same time, part of and separate from this community. He calls this street home, but his outlook remains that of a foreigner and a foreign journalist at that. For example, as the book depicts the elderly woman who gets pulled into financial scams, the author witnesses the scam but does not describe any action to stop or prevent it. His viewpoint is an analytical one more so than an emotional attachment. This distance definitely comes through in the writing and creates that detachment for the reader as well. This is a journalist's history, not a personal story of a neighborhood. The Street of Eternal Happiness is ultimately also a sad book. An elderly couple falls prey repeatedly to financial scams. A mother seeks a better future for her sons, but that future seems always just out of reach. Business ventures fail. Duty and dreams conflict. Government control hinders personal choice. I would like to think that in the midst of sorrow and hardship, some joy exists on this street of eternal happiness. Some ephemeral, if not eternal, joy. That does not seem to find a place in this book. Warranted the history itself is a harsh one, but some beauty or positive forces may hopefully exist and could have found its way into this book. The author writes, “The longer I lived in China the more I realized that for every dreadful story that dragged my pessimism for the country's future to a new low, there was someone … who could restore my hope.” This books errs on the side of pessimism but is still a unique perspective on life and culture in China. I would definitely recommend the book to those with an interest in Chinese politics and economics. Publication Information: Lake Union Publishing. 2016. 430 pages. Opening Sentence: "The thaw had come early to Massachusetts." Favorite Quote: "Every woman does what she can with whatever circumstances the Lord hands her. But we all want to live openly, to experience all the wonders Creation has to offer. We all want to be free to guide our own choices." The book The Daring Ladies of Lowell by Kate Alcott tells the story of the mill girls in the cotton mills of the 1830s in Lowell, Massachusetts. Historically, at the time, Lowell was growing as a manufacturing center. Retrospectively, it is in fact considered one of the hubs of the Industrial Revolution in the United States. Mercer Girls begins its story in Lowell, Massachusetts in 1864. The Civil War is nearing its end, but it has taken its toll on the cotton industry and hence on the town of Lowell, which relied on cotton as the heart of its economy. The story of the Mercer Girls begins in Lowell, but does not stay there. The history goes that Asa Mercer was a business leader in Seattle, Washington. Seattle at the time drew many men to its lumber and fishing industries. Few, however, came with families. Even fewer reputable young women were willing to come to the city. As a result, the population of Seattle was heavily weighted towards single men. Asa Mercer decided to "import" women to balance the ratio. He hoped to bring women of good moral standing as "mail order" brides for the men of Seattle. These young women became known as the Mercer Girls. Asa Mercer took two trips east in an effort to attract women to his venture. In particular, he found himself in Lowell, Massachusetts. Knowing the economic difficulties of the town, he offered an alternative. This is where the story of the Mercer Girls begins. It picks up the stories of three fictitious Mercer girls. The characters are perhaps a composite of the real women, but, in and of themselves, the characters are fiction. Josephine is middle aged and hiding something. Dovey is young and impetuous. She is the daughter of a mill owner fallen on hard times, and she is a runaway. Sophronia is set in her ways and rigid in her beliefs. Each woman has her own reasons for choosing to embark on such a risky, life-altering journey. The first part of the book is about the journey from Lowell, Massachusetts to Seattle, Washington. This is a story of these three women, each with their own secrets. It is also about the bond and the friendship that forms between these three very different women. It covers a relatively short period of time but a vast distance. The remainder of the book is about the lives these women discover in Seattle. At this point, the women maintain a bond, but the stories disperse as each woman chooses a different path. Through the three women, the book also provides a glimpse at Seattle history at the time - the lumber industry, the role of prostitution, the levy of new taxes, and the women's suffrage movement. This part of the book remains in Seattle but covers a much broader time period and historical framework. As a result, the part of the book that takes place in Seattle seems more scattered as the women's lives diverge. The pacing of the second half is also much more hurried; in fact, the book skips about six or seven years, jumping ahead to provide a different history The history is interesting, but the story does not benefit from this jump. As a story, I enjoy the first part of the book more, which focuses entirely on these three women, their secrets, and their bond of friendship. What I love about the book is learning a new bit of history. The fact that the history relates it to another book is an added bonus. Opening Sentence: "In early January of 2011, forty-five hundred red-winged blackbirds fell dead from the Arkansas skies." Favorite Quote: "We have to take flight. It's not given to us, served up on a pretty, parsley-bordered platter. We have to take wing. Was I brave enough to do that? Or would I be content to remain earthbound?" What is this book really about? The description identifies Meridian, a scientist who also happens to be a woman in the 1940s and beyond in the United States. Her field of study is ornithology - the study of crows in particular. Hence, the beautiful cover of the book. The "atomic" in the title confuses me at first until I start reading and am introduced to the setting of Los Alamos, New Mexicos - the majestic canyons and also the government research center that led to the development of the atomic bomb. This book is different from what I expect. I expect a story that, at least to some degree, is about the scientific world and the role of women in that scientific world at that time. This book is really not about that at all. It is about the role of women, the women's movements, but more from the expectations of marriage, housekeeping, and a male-dominated household. Meri's scientific pursuits dissolve into a housewife's hobby, as she walks away from the academic world for her husband's career in Los Alamos. Her life dissolves into that of an unhappy woman who stops just short of walking away. Meridian describes herself in a poem - "Take one Naive Girl. Bring to room temperature in the Big City. Add three cups Academia. If in one cup Encouragement. Fold in two drop Love. Sprinkle with one teaspoon Adoration. Mix thoroughly. Spoon carefully into greased Pan of Matrimony. Bake in Desert Heat for 25. Test doneness with Careless Toothpick. Let cool on Wire Rack of Inertia. Serve with generous dollops of Benign Neglect." The book does not really develop the history; it merely serves as a backdrop for the story. Similarly, the book references birds and bird behavior throughout. Each chapter begins with a couple of facts, and Meri's story intertwines with that of the crows she observes. Again, the birds are perhaps a metaphor for Meri's own life, but they become again part of the backdrop. I am torn about this book. Parts of it I find moving and absorbing, and I find myself cheering for Meri. Meri's friendships, her marriage at times, and her search for something more ring true to life and make the characters believable. I don't agree with many of Meri's choices, but I do find myself understanding them. Unfortunately, other parts of the book descend in cliched stereotypes (think stereotyped hippies), and I find myself cringing. As an end result, my overall reaction ends up somewhere in the middle - not bad but there's something missing. Publication Information: Penguin Press. 2016. 304 pages. Opening Sentence: "I'm a person who listens for a living." Favorite Quote: "That's very important about stories. They touch something that is human in us and is probably unchanging. Perhaps this is why the important knowledge is passed through stories. It's what holds a culture together. Culture has a story, and every person in it participates in that story. They world is made up of stories; it's not made up of facts." To some extent, to understand this book, you have to understand the background of author Krista Tippett. She is originally from Oklahoma and a Southern Baptist upbringing. She has studied in the United States and in Communist Germany. She has been a freelance journalist. She has been a political aide. She holds a Master's in Divinity. She has won Webby awards, a Peabody award and the National Humanities Medal. She is the creator and host of the podcast On Being on public radio. The podcast showcases conversations on the topic of what it means to be human. Guests come from all walks of life - historians, political activists, scientists, and artists. This book is a distillation of those conversations. It includes excerpts of individual interviews, but it is much more than a compilation of interviews. The book, like the radio podcast, encompasses the concept of communal wisdom - the gathering of ideas from from all walks of life to create a whole that reaches beyond any one idea. The main sections are written as a first person narrative; this book is also Krista Tippett's personal journey and her interpretations of these ideas. This combination makes the books intensely personal but also global in its application. Words. Flesh. Love. Faith. Hope. These are the ideas around which this book is structured. "The connective tissue of these pages is the language of virtue ... And there are gentle shifts of mind and habit that make those possible, working patiently through the raw materials of our lives. I've organized my reflections around five of these raw materials, basic aspects of the human everyday, which I've come to see as breeding grounds for wisdom." Each section first defines the seemingly simple words and creates a context for the conversation. It presents the author's discourse on the topic followed by some excerpts from the many interviews on which this book is based. The fact that the final topic is hope embodies the uplifting message of the book. Find a quiet spot. Get ready to concentrate. Then, read this book. This book requires me to think. It requires me to re-read. It requires me to set it down, think about the ideas, let them occupy my mind, and then return and read some more. One of the recommendations of this book is the idea of being present in the moment; the book in fact requires it of its readers. This book is a challenging read that requires focus. Sometimes, I find myself wondering and searching for where I lose the thread of the conversation. Then, sometimes, I find myself stopped at a passage, even a sentence because it so beautifully captures an idea in words. I find my reason for reading the book and recommending the book in the words of the book itself. "Taking in the good, whenever and wherever we find it, gives us new eyes for seeing and living." Perhaps my process as a reader in itself captures the journey this book documents; it is the search that matters. It is a journey that goes on with life; each one of use add our own voice to the conversation.